1848 – Holmes County, Florida’s 27th, was created on this date. Situated on Florida’s northern border with Alabama, Holmes County has one of the smallest populations in the state with less than 20,000 residents. 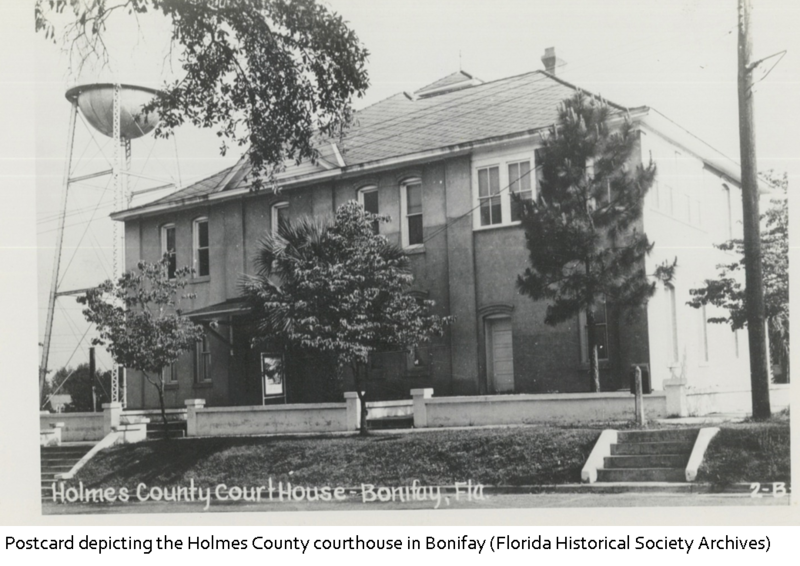 The county seat and largest city is Bonifay. The origin of the name is a matter of debate amongst historians. One theory is that the name was borrowed from Holmes Creek, which forms part of the county’s eastern boundary, while some connect the name to a few of the county’s earliest residents. Early settlers were involved primarily in the lumber industry, cattle ranching and other agricultural endeavors, which still endure today. Holmes County was the home of a unique and little known group of triracial and biracial families known as “Dominikers.” Believed to be descended from Spanish, African and Native American ancestors, these small communities were first identified in the early 20th century by workers with the Federal Writers Project, although little ethnographic or historical studies have been conducted.